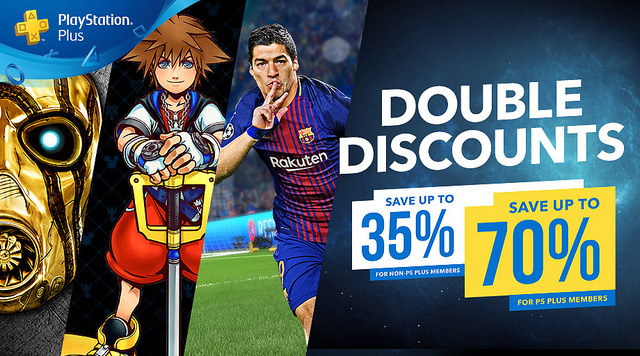 If you’re a PlayStation Plus member, the latest sale on the store offers higher discounts for you to take advantage of. The specials have been outlined on the PlayStation Blog, and some great games are heavily discounted. In addition to these specials, Skyrim: Special Edition is the Deal of the Week, with a hefty 68% discount (the exact amount will differ a little depending on your region, but it’s essentially 2/3rds cheaper). There are two separate overlapping lists of sale items here, with different end dates. Here’s the full list in the store, but to make things a bit easier on you we’ve picked out the highlights from what’s discounted below. …and many, many more. PS Plus members can save up to 70% on some of these titles, so make sure you have a browse through the store before this sale ends. There’s also the usual sale on digital-only games and some discounts across PS3 and Vita, but you’ll want to check the blog for those.